The diamond is not only a pretty gem stone, it is also known as one of the hardest stone and with its sheer beauty and brilliance, made it as the perfect stone to symbolize eternal love. And true enough, most engagement rings has diamond/s in it as well as wedding rings. MyDiamond, one of the country's expert when it comes to diamonds teams up with Liza Soberano in celebrating Diamond Month this April. Liza admits that she has a penchant for diamonds such as necklaces, rings, earrings because it exudes elegance and is a timeless accessory. 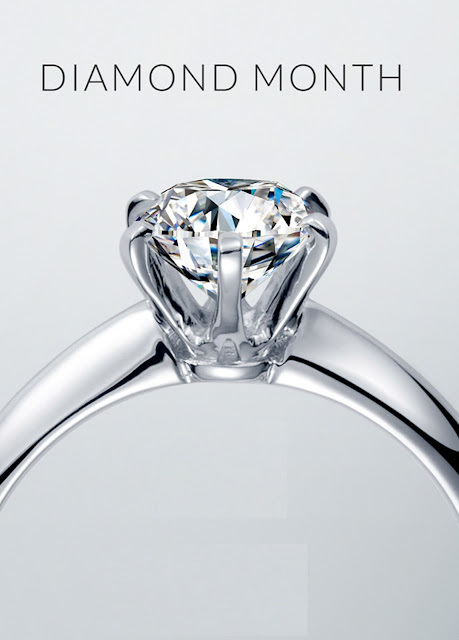 And in celebrating Diamond Month, My Diamonds offers exclusive discounts to its loyal customers. Members of MyDiamond Privileged Program gets an additional 5% off on top of their usual member discount from now until April 16, 2017. There's also good news for non-members because they can avail of up to 45% discount for all diamond jewelry purchases, and up to 50% off for purchases of 1 carat and higher until April 30, 2017. MyDiamond stores are located in Ayala Center Cebu, Shangri-La Plaza Mall, SM Megamall, Robinsons Place Manila, Festival Supermall, Glorietta 4, Greenbelt 3, SM Mall of Asia, SM Aura Premier, Lucky Chinatown Mall, SM Lanang Premier Davao, and Diamantaire in Shangri-La Plaza.